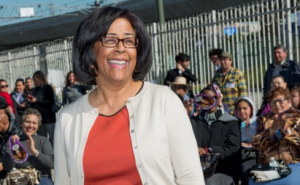 Los Angeles City Councilmember Jan Perry, in a statement released Tuesday, thanked those who backed her mayoral campaign. In the March 5 primary, Perry finished in fourth place. She represented the 9th Council District, which included Little Tokyo before redistricting, for more than a decade and is termed out. “Thank you so much for all you did for my campaign,” she said. “While my candidacy has come to an end, the issues we fought for in the campaign live on. “I will continue to be a voice for transparency and fiscal responsibility and advocate for the people that need our help the most. “I will always be inspired by the stories and aspirations of the Angelenos I met during this campaign. If residents from all parts of Los Angeles come together and find a common purpose with the support of good governance, our future will show the greatness that is Los Angeles. In other election news, Perry has endorsed City Councilmember Eric Garcetti, who is in the May 21 mayoral runoff with City Controller Wendy Greuel. She joins fifth-place finisher Emanuel Pleitez in supporting her former rival.